yesterday was another one of those days when you have to go to the office then attend an event, then attend another that requires attire that is red-carpet ready?? whuuut? 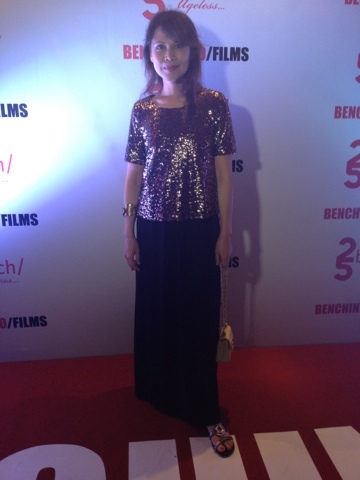 before the party crowd surged in, i left for the premiere of benchingko films (short films produced by bench for their 25th anniversary--get it?? clever eh?). attire was red-carpet ready. juice ko. so i switched the cardi for a sequined tee by topshop and added a gold cuff from bali, gold-chain-strap bag by nine west, and metallic sandals by montego bay club. tomorrow, all about G-star and benchingko!